G series glass front machine (G636) : has the whole refrigerated function, temperature can be in 3 to 7 degrees Celsius, can also sell various snacks, sweets, chocolate bars, fruit and canned, bottled, boxes cold drinks. The machine has the large area with double vacuum heat defrosting function. G series glass front machine (G654) : has the whole refrigerated function, temperature can be in 3 to 7 degrees Celsius, can also sell various snacks, sweets, chocolate bars, fruit and canned, bottled, boxes cold drinks. The machine has the large area with double vacuum heat defrosting function. Kimma Vending machines can also use IC card systems as a method of payment. 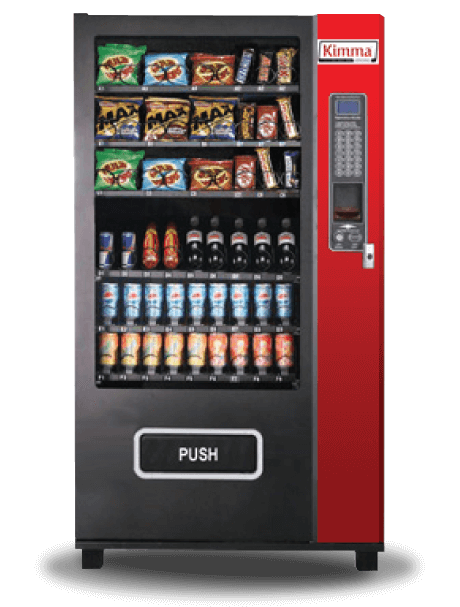 KIMMA vending machines conform to international standard design MDB and are compatible with all coin mechanisms, bill acceptors and IC card payments with MDB. The temperature setting is controlled by the computer. Generally, the factory set temperature is 3-8 degrees Celsius; users can adjust the temperature range according to their needs. 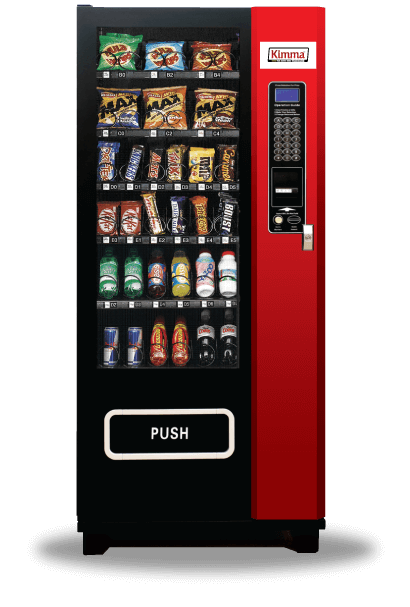 Generally, users can easily install and set up the vending machine according to the user’s manual. If they have any problems, we can instruct the users through telephone, text or email. When the customers buy commodities, the Ultra Detection System uses infrared technology to detect whether a product has been dropped into the delivery box. If there is a fault, the Ultra Detection System will refund the purchase price or the customer can purchase other commodities without depositing extra money (up to a maximum of 3 times). The Ultra Detection System is capable of anti-light interference, detection of high accuracy and it is stable and reliable. Machines can provide the sale times, amount of a single commodity, each tray and the whole machine, the amount of notes, coins in the acceptors, and the amount in the money box, etc. KIMMA vending machines can go on the data operation, statistical analysis, to provide reasonable planning and decision support, then can reduce the operating costs and improve operational efficiency. Head over to our contact page and complete our inquiry form and a representative will contact you within 24hrs.